Bjork here, checking in for my monthly traffic and income report. It’s good to be back. I missed you guys. Lindsay and I have been doing these monthly reports for almost three years now – our first income report was published in September of 2011. We started publishing these reports because we thought other bloggers might have similar questions to the ones that we had (and continue to have). How do I get comments on posts? How do I create an income? Our day-to-day Pinch of Yum life includes a lot of learning and experimenting to try and come up with answers to questions like these (still working on #5). While we’ve come up with some answers, we haven’t come up with the answers, so every month I come back and report on what we’ve learned. We talk about what works, what doesn’t work, what we’re working on, and what we wish was working better. Before I talk about what’s working (and what’s not) this month, I wanted to address one of the most common questions we get from readers and other bloggers. What does it takes to earn an income from your blog? If I had to say one thing I’d say grit. Grit is the part deep down inside of you that helps you push through when you’d rather be doing something else. Definition of grit taken from the all-knowing Wikipedia.com. 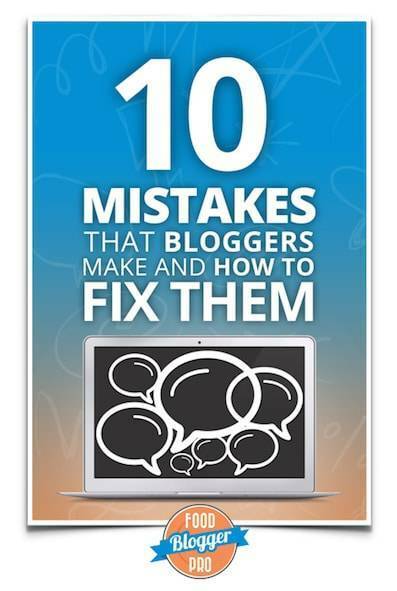 Do you know successful bloggers? Chances are really good that they’ve published a lot of really good content. Chances are also good that they haven’t always been excited about creating that content. Grit helps you lean into the work and get it done when you don’t feel like it. In other words, hard work pays off. If I had to say two things, I would say grit and luck. Being at the right place at the right time and getting noticed by the right people. But know this: the multiplier of luck is grit. The Beatles were lucky to be discovered by Brian Epstein, the manager that helped to orchestrate their rise to world-wide fame. But they had also played thousands of hours of music together before they were famous. Week after week, night after night, tiny bar after tiny bar. The Beatles’ grit (hard work) served as a multiplier for that “lucky” discovery by Brian Epstein. In other words, the harder you work the luckier you are. If I had to say three things it would be grit, luck, and the desire to continually improve. What did The Beatles do after they had their first huge hit? They continued writing music, playing shows, and crafting their skillz (intentional use of “z”). If you continue to work hard (grit) then you might someday get your break (luck). But if you stop there you’ll be a one hit wonder. If you have a desire to continually improve then you’ll be able double down on your previous successes instead of stopping to admire them. In other words, don’t rest on your laurels. So what does it takes to earn an income from your blog? Grit, luck, and the desire to continually improve. With that in mind, let’s take a look at the numbers for May. Bluehost – $4,830 –> this income comes from a page where we show people how to start a food blog in three easy steps. I wasn’t very familiar with viewability so I did some research. Here are the questions I had and the answers I found. Hopefully these answers help you understand viewability a bit more. Three things: An ad is counted as “viewable” if 50% of the ad unit is fully loaded and visible for at least 1 second with no scrolling. In essence, an ad is considered viewable if someone can actually see it and doesn’t quickly scroll past it. Brands want to make sure that their ads are actually being shown to people. Makes sense, right? If you were paying $5.00 for every 1,000 impressions of an ad you’d want to know that people were actually seeing those ad impressions that you were paying for. The bad news for brands using display advertising is that most display ads (54%!) aren’t actually being shown to visitors. The ads might be loading but they’re either (1) below the content and the visitors never scrolls down or (2) above the content and the ad code didn’t load quickly enough before the visitor scrolled down. Thus the need for tracking viewability. Viewability gives advertisers an easy to understand metric that shows how often their ad is actually viewed. The biggest thing to be aware of is the start of an industry shift away from the terms “above the fold” and “below the fold.” While these terms will continue to have meaning, their significance will fade as the importance of viewability increases. Here’s an example. If you’re reading this on your desktop computer, go back to the very top of this post and then grab the corner of the window and move it back and forth (left to right). Do you see how the content shifts and adjusts? That’s because Pinch of Yum is mobile responsive. Many sites are starting to use this type of design to allow for easy reading on multiple types of screens and devices. When the window gets to a certain width, the sidebar moves below the main content area. The sidebar is usually above the fold, but when the screen is small enough it moves to below the fold. We can no longer say an ad is either above the fold or below the fold. Why? Because it depends on what type of device someone is using. While the terms above the fold and below the fold can still be used, they won’t carry as much meaning in the advertising industry. This means that advertisers will start requesting certain viewability percentages as opposed to requesting an ad to be placed above the fold. But I thought advertisers want ads that are above the fold? At the core, advertisers want ads that are seen. It doesn’t matter to them where those ads show up, as long as people actually see them. In the past, companies weren’t allowed to use viewability metrics because the big wig ad regulator people said that the available technology wasn’t good enough to track viewability. That’s why we had to use terms like above the fold and below the fold. But the big wig ad regulator people recently announced that they think viewability technology is good enough to use, so it’s now okay for the advertising industry to track viewability and require certain percentages. This means that bloggers (like you) are starting to hear about it and are being asked to improve your ad’s viewability. What was Pinch of Yum’s viewability percentage? BlogHer shared the viewability percentage that we were currently getting on Pinch of Yum, which at the time of the email was 21.95%. 1. Our BlogHer ads are above the fold. It used to be a requirement for our BlogHer ads be above the fold, but with the recent viewability changes it is now actually a disadvantage. It’s a disadvantage because of how we use photos in our blog posts. Having a big photo at the beginning of a post means that people are more likely to quickly scroll down to the written content, where they’ll slow down their scrolling. The problem is that when people are quickly scrolling past the image they are also quickly scrolling past our ads. Remember, high viewability is the new above the fold. 2. Pinch of Yum is mobile responsive. Most people visit Pinch of Yum on a mobile device like an iPhone or iPad. As we discussed before, the mobile responsive design on Pinch of Yum moves the sidebar down to the very bottom of the site. This means that ads have really low visibility when someone visits Pinch of Yum on a mobile device. In order to increase our viewability percentage we could do two things. Show ads within the content on mobile devices. Hide the ads on mobile devices so it’s not counted against our viewability percentage. We’ll most likely be moving forward with #2, but we’re not as sure about #1. Anything else you’d like to add to the conversation around viewable ads? Do you think it’s a good change? Have you heard from other ad networks that are asking you to make changes? We did a test run with a mobile specific ad company called TapIt! (the exclamation point is part of the name, I’m not trying to express any excitement about it). We had a small banner that ran on the bottom of iPhones and iPads. Overall the ads performed poorly. It wasn’t worth it for us to run these ads considering how many impressions we needed in order to create a decent income. We turned off TapIt! and turned BlogHer mobile footer ads back on. Has anyone had a good experience with mobile ad companies? I’d love to hear what others have to say about this. We’ve added a few advertisers into the mix and I wanted to report back on those. We’re using Say Media as a second tier advertiser on Pinch of Yum (coming in after sovrn). The CPM has been coming in a bit above $1.00 and the fill rate is a low 10%. After that we’re using Gourmet Ads, which has almost 100% fill with a CPM of $0.43. We’re continuing to use Yellow Hammer Media in a 300×250 sidebar ad unit. The CPM is around $1 with a fill rate of 100% (which is great!). The issue we’ve had with YellowHammer so far is that the CPM drops really low when we use it as passback, so we’ve had to keep it in as a stand alone ad unit. Note: If you’d like to learn more about how advertising works I’d suggest reading Kiersten Frase’s eBook, How to Monetize Your Food Blog (affiliate link). She does a great job explaining the basics of using ad networks and gives suggestions for some networks to start with. RPM stands for page revenue per thousand impressions. Or, in other words, RPM shows you the average revenue you earn from every 1,000 page views on your blog. Below is the RPM that we had for Pinch of Yum in the month of May. I recently setup e-commerce tracking for Pinch of Yum, which means I’m able to see purchase information for Pinch of Yum products. My jaw dropped when I pulled up the mobile vs. desktop analytics and included e-commerce data. Do you see the staggering statistic in the red box? The total number of purchases made from a mobile device is zero. ZERO! Isn’t that crazy? It made me realize that we need to change our strategy for mobile visitors and shift our focus from promoting a product to promoting email sign ups. An email signup is valuable because it allows us to continue to communicate with the visitor long after the initial interaction. It might even be better to just pass on the income we’d earn on from mobile ads and direct all of our focus on getting people to sign up for the email list. One of the ways that we drive traffic to our product sales pages is through the affiliate programs that we have setup for each product. After launching Everyday Healthy we had a handful of people that were interested in signing on to be affiliates but we didn’t yet have banner ads created. I knew that I wouldn’t have to time to make the banners myself so I enlisted the help of a company called RightBanners. We’ve used them a few times before and the process has always been really smooth. I recently wrote a post on Food Blogger Pro called the best type of affiliate marketing: what it is and why you need to do it. I talk about how we use affiliate programs on Pinch of Yum and how creating your own affiliate program could help you increase your income, even if you don’t have a ton of traffic to your blog. It’s an important concept to understand so I’d encourage you to check it out. There were a couple days in May where the Pinch of Yum RSS email didn’t go out through MailChimp. I didn’t catch it, but we had a couple readers that were kind enough to let us know that they didn’t get an email that day. After some troubleshooting and head scratching I decided to reach out to MailChimp support to see if they could offer any additional insight. They pointed me to a quality assurance tool from W3C that validates your RSS feed and makes sure there aren’t any errors. After plugging in the Pinch of Yum RSS I found that the feed was broken because of some code that had been carried over from a rough draft that I had written offline and then copied into WordPress (last month’s income report, actually). This is a great example of the point I made in last month’s report about paying for a service (like MailChimp) versus using a free product (like Feedburner). If not for the support team I would have been left troubleshooting on my own, which probably would have eaten up a good portion of my day. This month we’re supporting the Children’s Shelter of Cebu by purchasing some math books so that the kids can have new material for school next year. You can learn more about CSC’s special projects by visiting this page on their website. Thank you again for all the valuable information in this month’s report. Viewability must have been the word of the week among bloggers. I couldn’t help but feel frustrated at yet another hurdle to overcome when I received BlogHer’s email. Thank you for giving some more insight and sharing your intended course of action to improve viewability. Great report, as always. Thanks for highlighting the shift from ATF/BTF to Viewability from IAB. It’s the first time I’ve heard of it. So far I only use Google Adsense and Conversant and have heard nothing from them on it. Conversant requires banner and skyscraper ads be above the fold so maybe they will be changing things soon. Where did you apply on Yellow Hammer? I don’t see a place to apply. Great job this month! Fabulous report, as always, Bjork! I really appreciate these! We JUST got ads up and running this week! We’re just with one company right now, and had to make some pretty drastic changes to our site in order to get it to work. We’re happy with the new look (we went from 3 columns to 2 and increased our margins a bit) but weren’t really prepared to have to make those type of decisions the day the ads went up! We’ve got 5 ads running right now … do you think that is enough/too many? Thanks again for all of your info – SO helpful!! Congrats Gretchen! That’s a huge step. It’s tough to say just based on numbers. It has a lot to do with (1) what you’re comfortable with and (2) how they’re laid out on your blog. If you can space the ads out it helps to not have the appearance of ad overload on your page. Very much appreciate the transparency and detailed information. It’s interesting to see the costs in running and maintaining a blog and exciting to see how much blogging can potentially earn you with grit! Great info as always! Just curious, but do you no longer receive affiliate income from Bluehost? I know this has usually been a high income item for you every month. Is there a reason that you would have dropped this lucrative money earner? Thanks for catching that Karin! I triple checked my addition but I didn’t triple check that everything was included in the list. The update has been made. Once again, I didn’t understand a word of what you wrote about all the techie-bloggy stuff, but I loved your “non-scientific graph” about hard work and luck! Congrats to you and Lindsay for another month of great profits. Well done, Team Ostrom! Thanks so much Jakky, and thanks for all of the hard work that you put into teaching. I know (from Lindsay) that you’re an awesome teacher. I can only imagine how much time, energy, and patience goes into your job! Thank you for the monthly reports. It’s so helpful to see the breakdown on how it all works. I’ve always found them super informative and look forward to them each month. Thanks for the great post! I, too, and trying to figure out how to fix my blogher ad on my mobile version… I’d love to just remove it from the mobile version, but can’t figure out how to do so!! I’d love any info you have once you figure it out! I’ll be sure to report back on it Mary. Hope all is well in Vietnam! You should try experimenting with ugly ads. You’d be surprised how well ‘ghetto’ ads do. Haha! I’ve heard that. I went to a seminar that an ad guy did and he said he made all of his ads on his own in Microsoft Paint. Another great read, thank you Bjork and I learned a lot. I subscribe to my own email updates, that way I can see if I don’t receive email updates then no one probably is. I can also monitor the layout and design of the email. Thanks Neil! So happy to hear that Food Blogger Pro has been helpful so far. Thanks for joining. I love what you said on your blog about the 80/20 rule. Lindsay and I are big believers in that as well. Looking forward to connecting more! I always enjoy reading your income posts. I think it makes most of us jealous yet inspired at the same time. Thanks for another great informative post. I (and everyone else, I’m sure) am always learning and being inspired by your posts! I think that’s particularly smart and I had a question about running ads in the mobile content as well . Another question would be about running ads within the context of your desktop content. Have you tried that? Your comments and content just on this one post is fascinating! Great thoughts Stevie. Lots of small differences between a food blogs and non-food blogs. The biggest thing is the prevelance of food on Pinterest, which has helped Pinch of Yum’s traffic a lot. 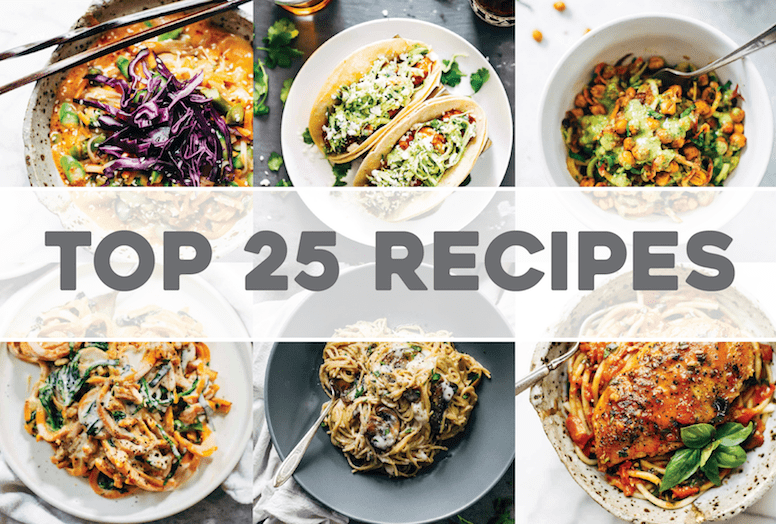 Food is the #1 thing that people share on Pinterest – an obvious win for food bloggers. I’ve heard that in-email ads don’t perform too well, but I think affiliate marketing would work well if your post was (1) helpful to readers and (2) overlapped with the interests of your target market. So helpful, Bjork! I’ve been thinking about getting ads on my site so I can start making at least a tiny bit of money. I wanted a beginner one so I was going to use Google Adsense, but then I saw you have to be 18 to use it. So now I don’t know what to use! That’s also the reason I’m not on Blogher – you need to be 18. Someone needs to create a site that young bloggers can use! Have you ever considered creating an LLC for your blog? I don’t know if that would solve the problem, but it might be a way around the age restrictions. That way you could apply as a company instead of as an individual. Again, not sure on how that works, but something to think about. As always Bjork, your income reports are super helpful and informative. I really appreciate your humor and personality that you put in your posts! Such weird humor, but so good! I always love reading Pinch of Yum’s monthly reports. it always leaves with with lots to think about. I’ve also been following your courses on Food Blogger Pro and have to say that the wealth of useful information is beyond words. It’s just awesome. I have an ever growing list of things to tackle, but feel confident I’ll get them done because of all the great information you both provide. Bjork–Thanks for sharing all the nitty gritty details to help us learn. I was a bit taken aback by our viewability stats, too! I think my biggest concern is that more intrusive ads (push downs, in-post ads and text links) are probably more viewable, but are also more annoying to our readers. We’ve always tried to avoid those in the past, and we’d like to continue to do so. I’m also not sure why miniature ads served on mobile devices (which account for over half of our monthly page views) would hurt viewability in the same way that a pushed down sidebar would. BlogHer hasn’t answered that one to my satisfaction yet, and I hesitate to give away half of our ad impressions until they do. What are your thoughts on that one? Thanks for sharing so much helpful information! Love these posts! Thanks for being so forthcoming with all your data, and all the things you’ve learned along the way. I have just started a blog — and have realized quickly how incredibly complex it is! So many things you have to learn to be good at. I love learning all of it– so hopefully a bit of grit will help me with the luck aspect 🙂 I just watched a Ted Talk the other day on grit- https://www.ted.com/talks/angela_lee_duckworth_the_key_to_success_grit — I am also a teacher, so this one struck close to home for me. One of the best talks I have seen recently. Yes! We’ve listened to that one before as a podcast. Very inspiring as a (former) teacher as well! As usual, spot on. Grit + hard work = long time down the road success. I get it. Thanks for the friendly reminder. You’re right up there with Neil Patel in my book. Also wanted to add that you always get me thinking…..I just realized that I probably won’t make money the way POY does, but you’ve jiggled my brain into thinking of ways to monetize my blog that I think will work for me. Have you heard song of the Cebu by Veggie Tales? It’s pretty catchy.